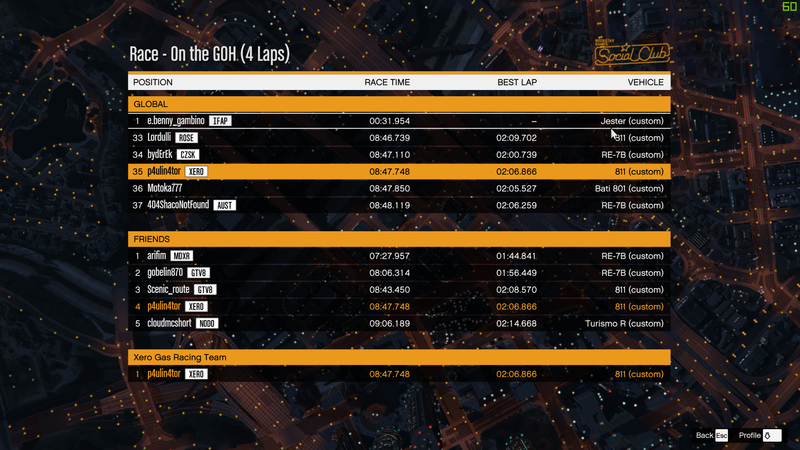 This little website aims to be a resource for all kinds of racing activities in GTA online. 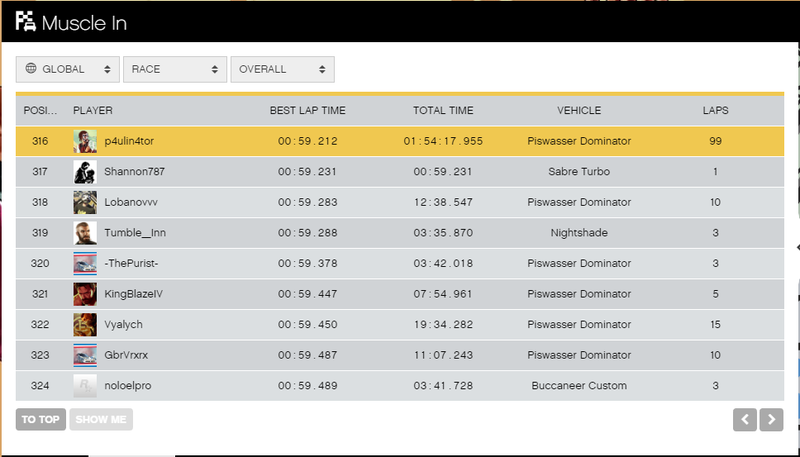 At the moment, there is a list of great tracks with the possibility to enter your fastest laps. Registered users can also create new tracks. There's also a list of all land vehicles where you can see how other racers performed on various tracks. Furthermore, there is a Random Grid Generator available, so if you host an event with multiple races, you can make sure that every participant has a fair chance with their positions on the starting grid. NEW! 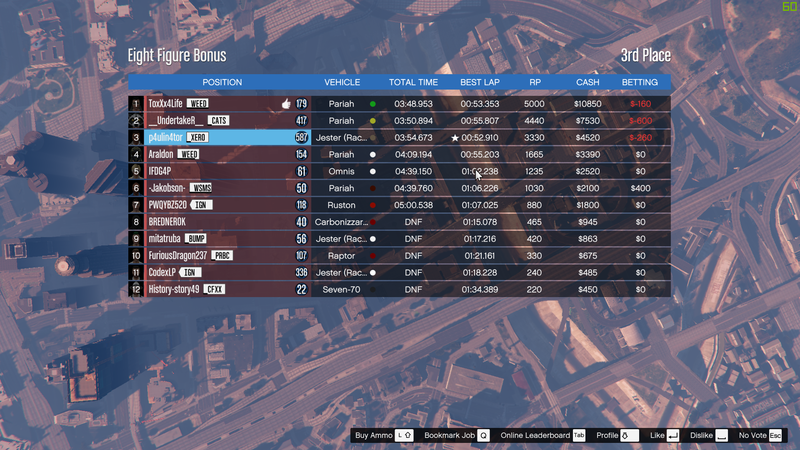 You can host Staggered Start Races! Open the page of any track and click the button "Host a staggered start race". Your drivers can choose any car they like, and I'll try to find out when everyone can start, so everyone has an equal chance for winning a race. It is based on either Broughy1322's laps around Cutting Coroners GP ("Standard Only"), or your own laps that you entered here before ("Photo Finish") or a mixture of both ("Slow Assist"), meaning that drivers who are faster than Broughy on CCGP still use the standard Broughy-time and are not "punished" for being quick, whereas slower drivers may start a bit earlier to make them be able to still participate competitively.